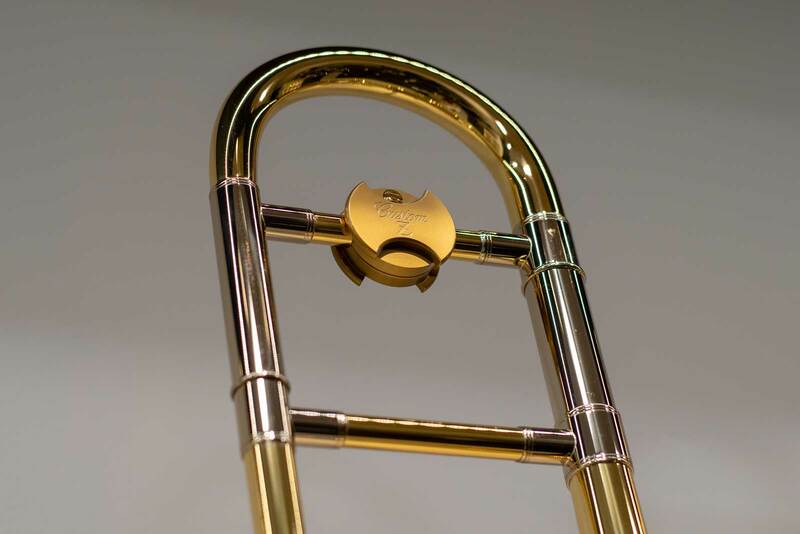 The YSL-891Z is a professional level jazz trombone that was developed with Wycliffe Gordon and Andy Martin. It features a .508 yellow brass slide with an 8 inch yellow brass bell. The YSL-891Z plays very evenly throughout its range, and it offers adaptability in sound and response with its two interchangeable leadpipes. When compared to similarly sized instruments on the market (e.g. King 3B) the YSL-891Z feels and plays a bit lighter. In addition to being an excellent instrument the YSL-891Z has a sleek, durable, and functional case. When comparing the YSL-891Z to my vintage King 3B the instrument is lighter and more nimble. The YSL-891Z fits nicely in between the sounds of a Bach 16M and a King 3B. To my ear it offers slightly more projection than the Bach, and it feels a bit more agile than a King. In terms of the tone quality the YSL-891Z has a very malleable sound that works well on or off of a microphone. The intonation between partials lines up very well vertically, and the player does not need to adjust much to keep the instrument in tune. 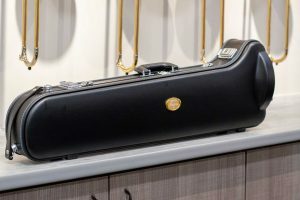 This horn is an excellent choice for a professional or developing player who is looking for one small bore that is capable of lead, section, and solo playing. Here is what Yamaha has to say about the instrument. The YSL-891Z was developed with Wycliffe Gordon and Andy Martin. The YSL-891Z comes with 2 interchangeable leadpipes. 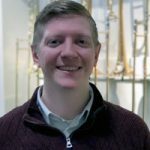 The NY leadpipe is longer and was developed with Wycliffe Gordon while the LA leadpipe is shorter and was developed with Andy Martin. The new balancer found on the YSL-891Z perfectly proportions the instrument’s weight. The chrome-plated nickel-silver drawn inner slide is very durable and has a quick, sensitive response. In addition, it is a one-piece drawn slide. The one-piece, drawn, brass outer slide maintains an accurate diameter throughout its length, and this type of construction ensures airtightness, smooth action, and exceptional durability. The outer slide is fit with extremely close tolerances making the horn respond quickly and effortlessly. A one-piece bell has an axial (lengthwise) seam, making it a continuous extension of the instrument’s material. This results in pure, uniform resonance and superior tone. A hammered yellow brass bell produces a pure and perfectly-balanced tone with quick response and extra presence due to advanced manufacturing techniques.